The Alexandra JC is a favourite with many knowledgeable sea trout fishermen. Originally named Lady of the Lake it was later re-named in honour of Princess Alexandra.It was so successful that it is reputed to have been banned on some waters. It then went out of fashion for a time but has returned as a proven good all round fly that regularly brings fish to the net. 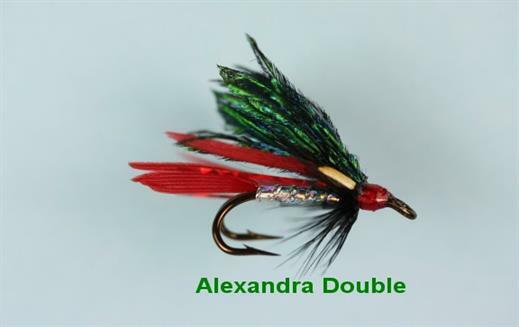 Currently there are no comments about the Alexandra JC fly pattern from other fly fishermen yet.